Family volunteer vacations are a wonderful way to help those in need while also providing a life changing experience for your children. Travel can unite us; in going to a new land, we draw closer to what we know and trust. Traveling with your family can do it most of all, and can teach your children about different cultures and build character in them. Especially so if you spend your travels doing worthwhile things, like teaching English overseas or volunteering and helping at schools or environmental organizations. There are many organizations in need of help around the world, however few are actively seeking family volunteers. Get creative, do a bit of research on your destination and offer up your services to schools or community organizations. You will find opportunities to volunteer for just a few hours or even for a few months at a time. A volunteer holiday will require some planning and creativity. 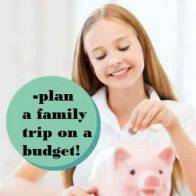 With kids in tow, you want to make sure you are actually helping, not hindering! You also want to be sure the volunteer work is age appropriate. To prepare for your journey overseas, it’s best to make sure your kids understand why you are volunteering. Help your children feel like they’re doing their part and being involved in the process. This way they don’t feel alienated and lost when you finally do make the trip: they feel as if it’s something they’ve been working for, building towards. With that in mind, you want to choose your trips carefully: a year sabbatical is vastly different from a summer holiday, both in terms of what you can accomplish and what you risk. 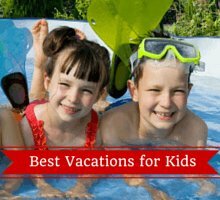 When selecting a destination, keep in mind that your family may be accustomed to a certain standard of living. Helping clean up a park in Tokyo is a completely different experience than working to rebuild the rubble left by the tsunami on the Pacific rim. Mix in some pleasure at the end of your family volunteer vacation. Be sure to explore the area and enjoy a bit of relaxation! Once everything is sorted and time to leave, it’s important to again make your children feel like they’re a part of the entire process: involve them, let them know what’s going on in plain terms. Talk to your children about the conditions they will experience and reasons for your volunteer travel. No matter where you go on your journey, the point is to bond as a family and do something good together. Whether it’s planting trees in Vancouver, or rebuilding someone’s home in Cambodia, you can do a lot of good with just willpower and a small savings on your family volunteer vacations. Your children will see it as a growing experience, and carry the entire journey with them for the rest of their lives. 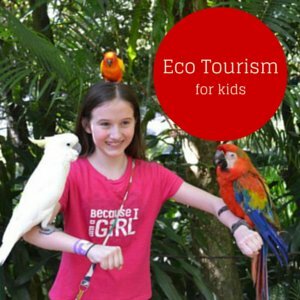 Ideas for volunteering on your travel with kids! One of the bonuses of traveling with kids is all the extra luggage space you get. Take advantage of your extra luggage allowance by stocking up on items to donate in your destination. Used books, gently used or new children's clothes and shoes, toys, art supplies, school supplies, over the counter children's medications, tooth brushes, toiletries and sports equipment can be of great use in third world destinations. Avoid bringing candy for the kids as it rots the teeth! When we visit Jamaica, we always pick up an extra suitcase at the thrift store and pack it full of supplies to donate to the SOS children's village in Montego Bay. Work with an organization such as ABCs and Rice in Cambodia to pay for the lunch or rice for the week for their students. Or buy bicycles to help some of their students get to school. Volunteer travel with direct contact with children is becoming more controversial. You need to really check if what you are doing in is in the best interest of the children. Orphanages around the world are often money making schemes and take children away from their families so foreigners can have feel good about volunteering. Research your trip carefully and work with reputable organizations. Be it milking cows in Nepal, turtle conservation in Sri Lanka, creating paper out of elephant dung to support local tribes, helping to build schools for children in Uganda, or tracking certain species of monkeys––the world is calling. Will you answer? Voluntourism began in response to the carnage of World War I. In Pierre Ceresole’s search for the “moral equivalent for war,” he developed Service Civil International (SCI) with the motto, “deeds, not words.” It’s focus was service for peace in devastated and conflict areas. The rise of volunteer travel has spiked in recent years. Here are a few ways you can ensure you make the most difference in the world when you and your family embark on your volunteer adventure. Don’t think that the problems of the world are too big or that your influence is too small to make a difference. Do what you can. When you can. You will see how impacting the life of even one person can change their world. Take an inventory of your skills and those of your family. This can be an exciting and fun experience. Sometimes it’s not always easy to see where your talents lie. Asking your family to weigh in on your skills and strengths can be enlightening. You’ll probably hear a lot about your weaknesses too, but that’s what family’s for, right? One volunteer experience can set up your child’s calling for the rest of their life. You never know when that moment may come. It could arrive in the desert of Africa or on the shores of the Caribbean. The people you befriend oftentimes become life-long friends. Be sure to keep a diary of your trip so that you can recall all the ways your life has been impacted by the experience of helping those in need. We have a habit of forgetting and it will be important for your children to recall some of their experiences as they get older. There are many fascinating ways to structure a volunteer trip. My first humanitarian trip was last minute. I just happened to be in a part of the world where I learned there was a need and flew there to fill it. This lead to an experience of a lifetime. When planning trips for your family, take the serendipitous into account. Volunteer trips are a great way to dig a little deeper into the educational desires of your kids and give them real world experience in the field of their dreams. You might want to plan a year or two to look at what they hope to accomplish. 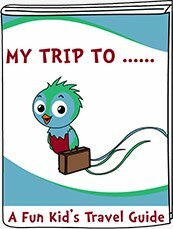 Kaya Responsible Travel is a great place to start your family’s exploration of volunteer opportunities. Leave your old ways of travel behind. You’ll see the real world with all its unexpected beauty and with all its warts. You’ll be teaching your children more about the world than they will ever learn in a book or movie. Celebrate it all––the twists, the turns and the surprises. Check with your government’s web site to discover local travel advisories for your destination country. It is important to notify your home country of your travel plans. Be sure to leave a xeroxed copy of the front page of the passports of each of your family members with a trusted family member or friend at home. Also keep a xerox copy of your passports with you in a separate location then your passport just incase your passport is lost or stolen. Do some local volunteering and see what you enjoy before committing to a big journey abroad. Consider hosting a foreign exchange student for the summer to get a taste of the culture where you hope to volunteer. Your local church and community groups are a great resource to understand where the need is greatest in your community. There are so many opportunities from homeless feedings to stocking local food banks to helping out at the local animal shelter. You’ll be able to have a greater impact on a longer trip if you build your volunteer skill set. When traveling abroad, it’s important to make sure your health insurance covers your trip overseas. Many travel abroad companies will insist on special travel insurance for group members. Whatever you decide, just be sure that you are covered. Also, it’s important that you’ve taken care of prevention before you leave. CDC TravWell is a great App to find out what inoculations are recommended for your destination country. It’s a great way to make sure you have your general health looked at too. 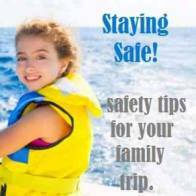 Know what medications your family will need for your time away and take twice the amount you think you will need in case of unforeseen delays. To make the most difference abroad you need to be healthy. Fight the need to want to sort everything out. To make the most difference, you need to understand the culture and cultures are nuanced. Very often volunturism trips are short-term, much too short to really get an in-depth understanding of a region or its problems. It’s very natural to want to “fix” things right away. But often the kind of help a volunteer provides is a step in an important, albeit long, process of finding new ways and solving complex problems. One yes can change your life. One yes can transport you out of your ordinary, known world to one you never knew existed. Transformation is only possible if you give it an opportunity to take hold. Growth rarely comes without risk. An experience has the power to take your family to the next level of living. Once you arrived home, the safe world you know will perhaps be better appreciated but also will benefit from the larger perspective you’ve gained by understanding and really embracing another culture. World peace begins one friendship at a time. 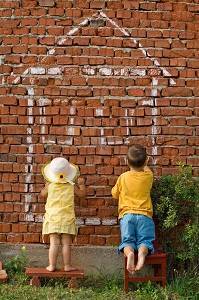 You’ll be surprised what simple things can do to bring joy to kids in the middle of nowhere. And I’m not talking about your children. Lots of times you’ll find yourself mingling with kids from your destination country and you will have lots of time on your hands in periods of waiting during your volunteer project. I entertained hundreds of kids with simple string games and they taught me their games too. I’ll never forget how much joy we all shared courtesy of one simple string. Kids are the same all over the world. They love jokes and games and having fun. They’re always eager to learn your jokes and games and share theirs. The power of joy and laughter can see your team and the people you seek to help through trying times and circumstances. Trips where you are with a group of people you’ve only known a short time have incredible opportunities for fellowship, learning and sharing new skills and information, and even building life-long bonds. Whether you’ve only been training together for months or just met your fellow volunteers on the ground in your destination country it’s important to realize that you owe it to the team to monitor your well-being. Bonding as a group is a wonderful thing, even magical at times. However, there can be times when either the situation or attitudes can become challenging. Be sure that you and your family know how to take good care of yourselves so that overwhelm doesn’t set in. This can be as simple as hydrating and making sure you get a good night’s sleep.